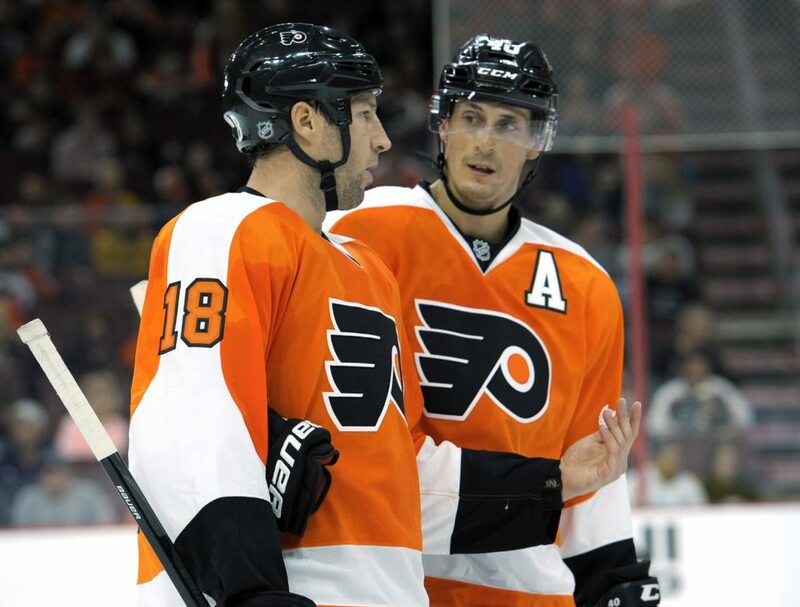 The Philadelphia Flyers organization has too many players. At the moment, there are roughly 21 defensemen in training camp vying for 12 spots on the Flyers and Phantoms (16 spots if each team carries two extras). In terms of forwards, there are over 30 players in camp, most of whom can hope to earn one of 24 spots on the Flyers and Phantoms. This surplus of players has brought with it some mild trade speculation. Just a few days ago, when previewing training camp, I brought up the possibility of a trade, especially on defense. With eight defensemen on NHL contracts and multiple prospect on the verge of making the NHL, it stands to reason that the Flyers could see a body move. No team is immune from injuries. For example, the Flyers had 10 different defensemen suit up last season, despite only carrying seven NHL contracts to start the year. 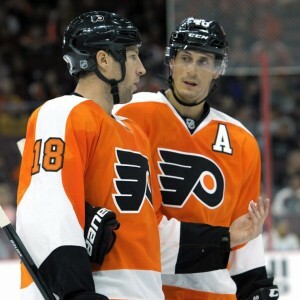 At the forwards position, it has been a long time since RJ Umberger or Vincent Lecavalier put in a full seasons work. The fact of the matter is that players will inevitably succumb to injuries. Whether those injuries happen during the preseason (as we have already seen on other teams) or in the first few games of the season (see Braydon Coburn last season) is the real question. Ultimately, the Flyers have enough known NHL commodities to withstand a few injuries. Players like Brandon Manning, Chris Porter, and Colin McDonald may not be great long-term solutions at the NHL level, but they have enough NHL experience to be able to help the team in an injury pinch. As the roster stands now, the Flyers can absorb a few injuries and still keep their prospects in the AHL/juniors. Although nothing is certain, the Flyers look to be in good enough shape that they can withstand the normal injury cycle of the first few months of the season, at which point many of their prospects should have a fair amount of AHL seasoning. Prospects like Scott Laughton, Nick Cousins, Robert Hagg, Taylor Leier, and Mark Alt have each played a significant amount of games in the AHL. Therefore, it is conceivable that one (or all) of those players could be NHL-ready by the middle of the 2015-2016 season. Those players could get an early season look at the NHL, but they will most likely begin the year in the AHL. The high volume of NHL players at training camp will allow the prospects that the Flyers have on the Lehigh Valley Phantoms to be given every opportunity to progress. As it stands now, the Flyers have nine contracts expiring in 2016 (6 UFA, 3 RFA). Players like Chris Porter, Ryan White, and Brandon Manning may not be re-signed and they probably do not make for great trade bait. Some of the other players who are on expiring contracts may be enticing to teams in the thick of the playoff hunt. For example, the Schenn brothers could be of use to many teams, and those teams would have the added bonus of being able to hold onto Brayden Schenn’s rights for the upcoming years. Yevgeni Medvedev has the size and mobility that teams crave at the trade deadeline. He could definitely be an attractive option to a playoff contender. Although I fully expect Michael Raffl to be extended, he is a player who could garner a fabulous return in late February. If Sam Gagner has a bounce back season, it would not be crazy to see him on another team come playoff time. 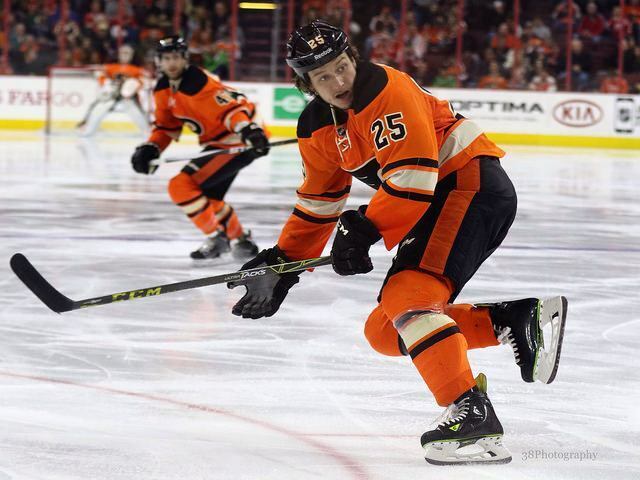 The Flyers have plenty of players in training camp, but if they do not rid themselves of some of these players now, it should make for an active trade deadline. But What If They’re Contenders? 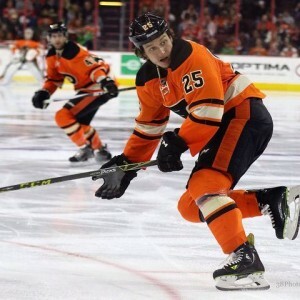 Although it is tempting to keep as many players as possible, and possibly even trade for more, as a potential playoff run ensues, it would still be wise for the Flyers to once again be sellers at the trade deadline. As mentioned earlier, by the middle oft the season the Flyers should have plenty of players on the Phantoms who will be primed to take the next step. By the time the trade deadline rolls around, one of Sam Morin, Robert Hagg, or Shayne Gostisbehere could bring the same level of play of a Luke Schenn, Yevgeni Medvedev, or Radko Gudas. Similarly, a forward like Scott Laughton, Nick Cousins, or Taylor Leier, could bring some of the same qualities as Sam Gagner, Brayden Schenn, or even possibly Michael Raffl. General Managers are notorious for overpaying at the trade deadline. Ron Hextall is well aware of this. He may already know that some of the players who are currently in training camp do not have a long future as a Philadelphia Flyer. But he also knows that he will get far less in return for those players in September than he will in February. For all I know, the Flyers could pull off a blockbuster trade tomorrow. But now, with over a year of being able to analyze how Ron Hextall operates, it seems as if the Flyers will wait to unload a few contracts. Hextall has the long view in mind, and that is not a bad thing!